Climate is generally defined as average weather over a long period of time. A place or region's climate is determined by both natural and human-induced factors. 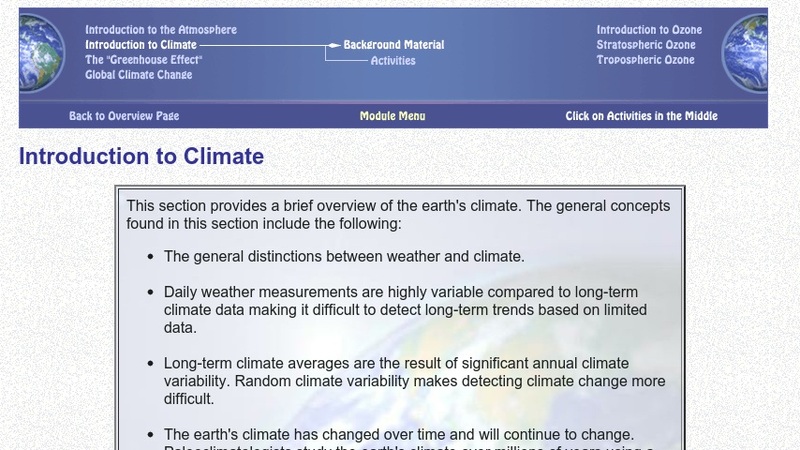 Students can read an overview of Earth's climate and participate in activities which explain the following concepts: distinctions between weather and climate, variability of daily weather measurements compared to long-term climate data, how significant annual variability affects long-term climate averages, how Earth's climatic changes occurred in the past and are continuing today, and how the study of tree rings and plant pollen help in the study of past climate.